It’s not until you visit the most popular of the Lanzarote attractions, the Parque Nacional Timanfaya (Timanfaya National Park), that you realise the true beauty of Lanzarote. We approached the entrance to the Montañas del Fuego (Fire Mountains) from the direction of Tinajo, the roads were empty except for a group of cyclists, after stopping at the kiosk to pay our entry we followed the road to the parking area and were directed straight onto one of the coaches preparing to depart. There is plenty to see on the tour from either side of the coach but my favourite is a window seat on the left hand side as you walk down the isle. The coaches have changed since my last trip, they are now a dull burnt orange in colour and blend into the landscape beautifully. The buses are clean and comfortable, the drivers expertly manoeuvre these vehicles around the 14km of twists and turns, stopping in all the right places with enough time for everyone to capture the scenery on their cameras, videos and phones. We are on a continuous single lane track, there is a commentary in Spanish, English and German explaining the history of the eruptions from 1730 – 1736 complete with dramatic music. The first part of the tour concentrates on the area situated between the visitors centre and the coast at El Golfo, then on to an elevated position where you can see the extent of the lava flow towards Yaiza before circling to look down on the main road and the entrance. Once you arrive back at the visitors centre at Islote de Hilario , head over to the area on your right, here staff will demonstrate the heat caused by a residual chamber of magma close to the surface, a volcanologist would call this a geothermic anomaly. Although the volcano is classed as dormant the red pícon handed to you from the ground is almost too hot to hold. First is the element of fire, dry bushes are placed in a pit just below the surface of the ground, they ignite just from the natural heat! Next on the higher terrace water is added, a bucket is poured into a shaft in the ground, two seconds later a geyser erupts with a loud whooshing noise. We headed for the gift shop, I always like to check out the Lanzarote book section and found a new one to buy, this time a colouring book “Pintando con César”, you have to see the natural oven situated in the round room at the entrance to the café, the chicken was roasting on a barbecue al grill de volcan from the heat. You can look down into the hole but hold on to your hat and sunglasses – you’ll see what I mean when you look! We purchased a café con leche at the bar and took a look round the Restaurante El Diablo (The Devil) the restaurant design was influenced by César Manrique and is circular with panoramic windows looking out over the lava landscape, in the centre is a homage to Hilario with a fig tree and camel bones. This must be a fantastic location to watch the sunset although the park closes at 6pm. We left Islote de Hilario and made our way to the exit, here we turned right heading towards Yaiza and stopped at Echadero de Camellos (The Camels Resting Place), we watched the camel trains being loaded with tourists to be led up into the Fire Mountains for a different perspective on the landscape with traditional transport. If you turn left on leaving the Montañas del Fuego, you will find the Timanfaya Visitors Centre which is free entry and full of information about volcanoes and even has a volcano demo room. The Montañas del Fuego are open from 9am to 5:45pm (until 6:45pm 1st July – 30th September), last route around the volcanoes leaves at 5pm. Entry is €10 per adult and €5 per child (aged 7-12). There is a 20% discount for visitors arriving after 15:00. Residents are entitled to discounted prices with proof of residencia and ID. Canarian resident €8, Canarian child €4 and Lanzarote resident €2. Prices valid from 1st May 2017. 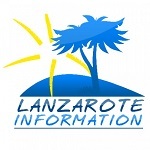 If you’re planning to visit three or more of Lanzarote’s Visitor Centres during your holiday, buy the Discounted Entry Tickets in advance which are valid for 2 weeks. You can visit this attraction on any of these three tours: South Tour of Lanzarote, Express Tour Timanfaya National Park and Express Tour Timanfaya & La Geria. 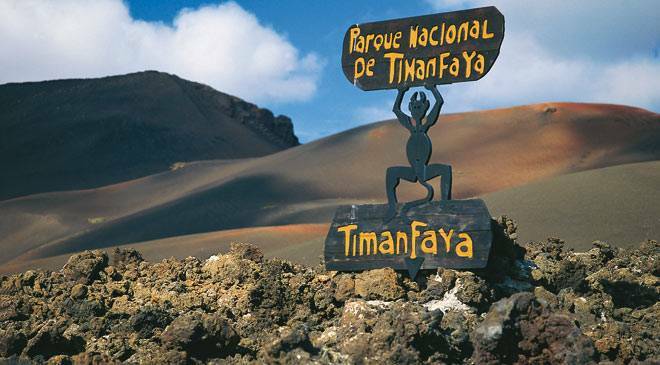 If you have a hire car and are driving to the Montañas del Fuego in the Timanfaya National Park, it is situated on the LZ-67 which connects Yaiza and Mancha Blanca. The easiest way to find this attraction from the holiday resorts, is to take the LZ-2 road which is the main road from Arrecife to Playa Blanca, the LZ-67 turn off is by the town of Yaiza.